Bicycle accident attorney, Thomas R. Lefly, is a dedicated and experienced personal injury lawyer who represents bicycle accident victims and their families in and around Denver. 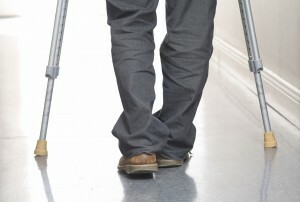 Personal injury Lefly, founder of Lefly Law Firm, can help you in your time of need. A bicycle accident, by its very nature, is usually devastating for the bicyclist who does not have the protective cocoon of sheet metal as does the car or truck driver who collided with the bicycle. A bicycle accident happens suddenly, without warning, and can cause serious personal injury or even result in death. If you are the victim of a bicycle accident facing serious medical bills, experiencing ongoing pain, are missing work — or still unable to work or work to the degree you once did — you likely need some major financial compensation. Fortunately, financial compensation and help with medical needs is often available to bicycle accident victims. Unfortunately, due to the complexity of laws surrounding bicycle accidents, pursuing a bicycle accident claim on your own is very difficult. For these and other causes – financial compensation may be available to Denver area bicycle accident victims. As bicyclists are keenly aware, drivers of cars and trucks characteristically do not pay adequate attention to their surroundings. Many motorists do not respect the rights of bike riders. Negligent drivers do not carefully look for bicycle riders before making lane changes, exiting driveways, leaving stop signs. Careless drivers rarely check their mirrors before opening their car doors. Far too often, bicycle riders are injured or killed by negligent motorists. Negligent motorists often fail to check their blind spots before changing lanes, or make turns directly in front of oncoming bicyclists, sideswipe them traveling on the shoulder or choose to drive illegally under the influence of alcohol or drugs. Most troubling of all, is that most motorists are seemingly ignorant of Colorado traffic laws which gives bicycle riders the same legal right to use the roadways as any other motorist. Following a bicycle accident involving a motor vehicle, contact bicycle accident attorney, Thomas R. Lefly, immediately. Statistics demonstrate that the driver of the motor vehicle is usually at fault in a vehicle and bicycle accident. Well-preserved evidence will help us ensure that the fullest financial compensation can be obtained in cases of serious bicycle accident injury or wrongful death. Getting Justice for a Bicycle Accident is Hard — We Can Help! If you have suffered a bicycle accident because of the carelessness or negligence of a motor vehicle driver while riding your bicycle, the medical bills for your injury and the time off work can have a huge impact on your financial stability. The insurance company of the motorist who hit you will fight because they tend to think that bicyclists should always yield the right of way to vehicles. Though insurance companies are “in the vehicle insurance business,” they pretend that bicyclists are not legally considered motorists! The law clearly states that bicycle riders are entitled to use roadways just as any other motorist, yet insurance adjusters will treat the injury claim in a way that is unfair, and unjust – because of their own misunderstandings and generalizations against bicyclists. Moreover, insurance adjusters are trained and rewarded to low-ball your case and attempt to avoid paying for the injuries their driver caused. What Damages Can Be Sought in a Bicycle Accident Case? Past and future lost income: The amount of money you actually lost due to the injury and will lose in the future. Other Damages: that may be recoverable in accident and injury cases include prenatal injury, exemplary damages, prejudgment interest, attorney’s fees, and court costs. Negotiating an effective settlement requires a thorough understanding of the facts of the case, the law that applies, the value of the claim, and the ability and willingness to take a case to trial where necessary. Denver bicycle accident lawyer, Thomas R. Lefly, works tirelessly to win verdicts and financial awards on behalf of clients and their families who were injured or killed. If you or a loved one has been involved in a bicycle accident, contact Thomas R. Lefly for a free consultation regarding your potential claims. Contingency fee arrangements allow ALL accident victims –no matter the size of their bank account– the ability to take advantage of top-drawer legal representation by bicycle accident attorney Thomas R. Lefly. Because attorney Lefly takes bicycle accident cases on a contingency fee basis, getting immediate professional legal help is but a phone call away. What does ‘contingency fee basis’ mean to you? You do not have to pay us any type of fee out of pocket. In fact, you will not even have to pay us a dime unless we win your case. The contingent fee arrangement is also commonly referred to as “NO WIN – NO FEE” because the client is not held responsible for payment in the event that the attorneys are not successful in recovering an insurance settlement or jury award for money damages. If you have been seriously injured in a bicycle accident, we encourage you to call us today at (720) 773-9333 for a Free Confidential consultation.